Quick overview HFT The Gardener extends Treister's fascination with esoteric translation, the cybernetics of consciousness, and the hallucinatory aesthetics that radiate from real-world circulations of power. 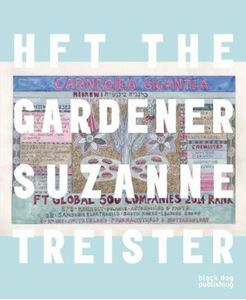 FT The Gardener extends Treister's fascination with esoteric translation, the cybernetics of consciousness, and the hallucinatory aesthetics that radiate from real-world circulations of power. Her fictional character Hillel Fischer Traumberg is an HFT - a high-frequency trader. But this HFT is also a contemporary version of HCE, the hero of James Joyce's Finnegans Wake, who struggles to awake in the wake of modernity's dissolution of the boundaries that separate art, nature, language, math, money, and the traumatic Traum of history.